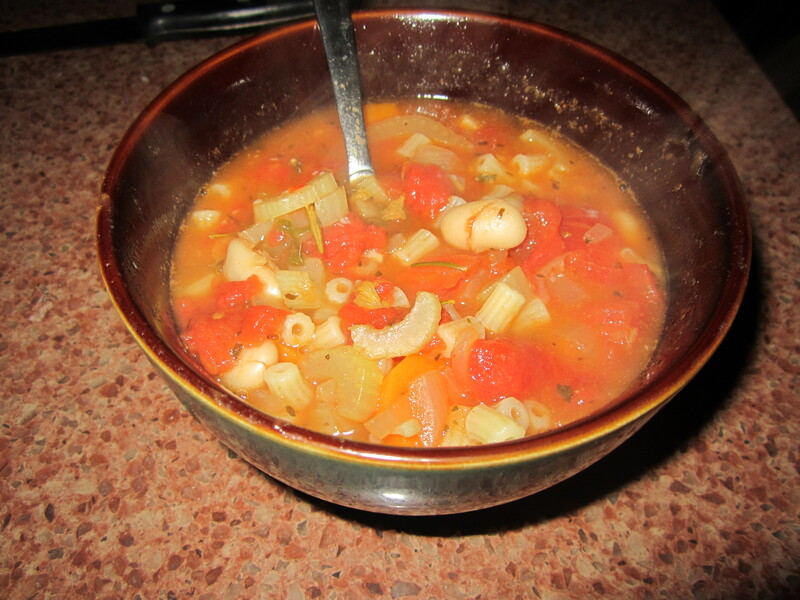 This soup turned out so good the herbs gave it the most incredible flavor and it was so filling! Great staple for the winter months. In a large heavy pot, heat olive oil over medium high heat. Stir in onion with a pinch of salt and pepper, and cook for 2 minutes. Add dried herbs and red pepper flakes into the oil and toss to coat to bring out some of the dried herbs’ flavors. Stir in garlic, and then celery, and carrots and cook for about 3 minutes. Stir in tomatoes and stock and bring to a boil. 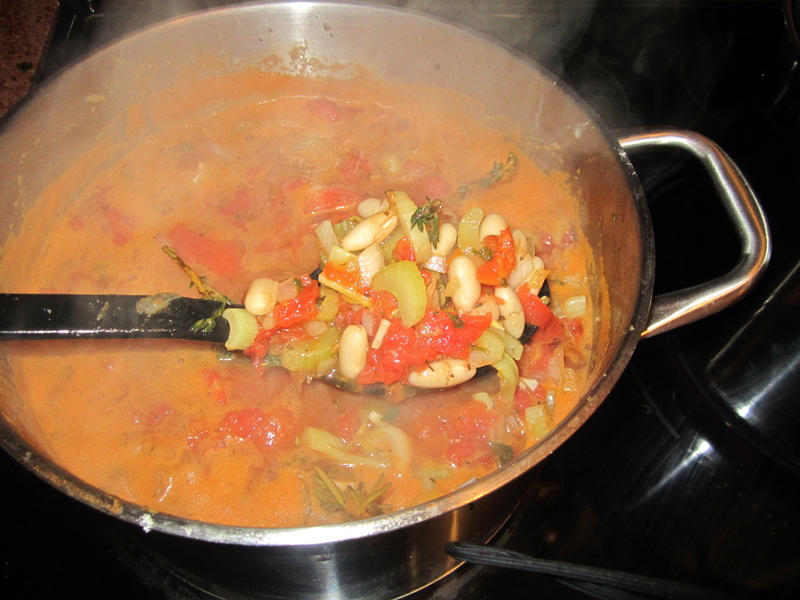 If necessary add an additional cup of stock or water and stir in beans and tiny pasta. Simmer for 6-8 minutes or until pasta is tender. Stir in parsley and serve hot with grated parmesan and freshly ground black pepper.